How Can I Claim against My Landlord? Police are appealing for witnesses following a serious accident involving a motorcyclist and a white van which left the biker seriously injured. The accident happened between Northwich and Warrington on the A49 Tarporley Road near the junction with Raddel Lane, Higher Whitley at about 3.56pm on Saturday 23rd May. The crash involved a green Kawasaki ZX motorcycle and a white Ford Transit van. The 26-year-old motorcyclist from Northwich was taken by air ambulance to Aintree Hospital in Liverpool, and is reported to be in a ‘critical condition’ following the collision on Saturday afternoon. The van driver, also from the Northwich area, was not injured. 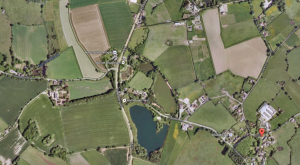 Cheshire Police said the motorcyclist was travelling towards Bartington when it was in collision with the van, which was travelling in the same direction. 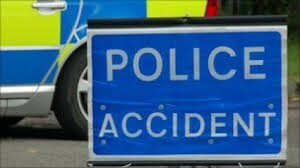 Police are appealing for information from anyone who may have seen the collision or any driving in the lead-up to it. Anyone who can help is asked to contact the police by calling 101, quoting incident number 620 of May 23, 2015. Alternatively information can be left anonymously on Crimestoppers on 0800 555 111. This article was added on Wednesday, May 27th, 2015 at 8:05 am and is categorised under Cheshire News, General News, Northwich Accidents, Runcorn News, Warrington News. Both comments and pings are currently closed. 15th Jun 2018 GDPR FINE? Error: Error validating access token: Session has expired on Saturday, 09-Mar-19 13:12:58 PST. The current time is Thursday, 25-Apr-19 05:51:55 PDT. Know someone who is looking for a good injury lawyer? Get more than just a thank you for recommending us to your family or friends. Keep up to date with all the latest news and events from our friendly team. Solicitors in Northwich covering Chester, Crewe, Knutsford, Macclesfield, Middlewich, Northwich, Runcorn, Sandbach, Warrington, Winsford, and across Cheshire. To get in touch simply fill out the short form below and we will reply very shortly, and definitely within 24 hours. The online enquiry form is completely safe and secure, and your details will not be available to anyone other than Stonehewer Moss Solicitors.